The Education Partnership Centre partners with state governments in Kano and Akwa Ibom, the Nigerian Educational Research and Development Council, the PAL Network, Pratham, and J-PAL to pilot TaRL. Nigeria is the most populous country in Africa, facing a many associated challenges in the education sector: large numbers of out of school children and high pupil teacher ratios. In addition, many children leave primary school without basic reading and mathematics skills. LEARNigeria, a citizen-led assessment and advocacy programme implemented by The Education Partnership (TEP) Centre has identified the poor levels of across large parts of Nigeria. The results from the 2017 survey found that 59% of 15 year olds are able to read a primary 2 level story, while 41% can complete a one-digit by one-digit multiplication task. TaRL presents an opportunity to bridge this competency gap through a partnership model between communities and their governments. 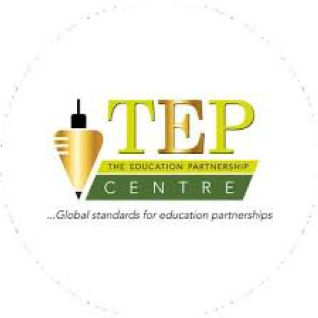 The TEP Centre implemented a TaRL pilot programme with support from the Akwa Ibom and Kano State Universal Basic Education Boards, Nigerian Educational Research and Development Council, Pratham, J-PAL, and PAL Network (the global network of countries implementing citizen-led assessments). TEP Centre also collaborates with UNICEF and Plan International , who are implementing TaRL in different Nigerian states, on content and instructional material development. A holiday camp model was implemented at the school and community level. The programme was delivered by volunteer teachers in Akwa Ibom state (2 schools) and Kano State (4 schools) for children in Primary 3 to Primary 5. The camp ran for six weeks, from July to September 2018, and reached over 600 children. In Akwa Ibom, literacy instruction was in English language while Hausa was used in Kano. Foundational numeracy instruction was implemented in both states. The TaRL pilot ended in September and the results have been inspiring. After 24 days of intervention in Kano, the share of children who were able to read at least a simple paragraph grew from 0% to 23%. There were also substantial learning improvements in Akwa Ibom where, at the beginning of the intervention, 27% of children could read at least a simple paragraph and by the end of the intervention, 36% of children could read a simple paragraph. Given the promising outcomes of TaRL, in 2019 TEP Centre plans to scale up the current model while pilot testing a term-time approach to the remedial programme. Interested in learning more about TEP and TaRL in Nigeria? Visit the TEP website to learn more about their work. Read about LEARNigeria, a citizen-led assessment of foundational reading and mathematics skills. Learn more about the PAL Network, a global citizen-led assessment network.